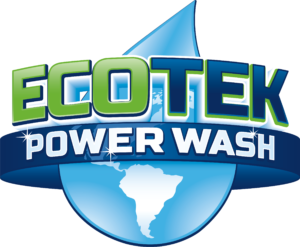 At EcoTek Power Washing in Arlington, Virginia we pride ourselves on a job done right. If you are comparing power washing companies in the area, here is a list of 5 things to think about when hiring a power washing company. 1. Do they care enough to protect your property? Do you worry that power washing could cause worn-out paint, bruised surfaces, damaged window seals, burnt-out electrical components and destroyed landscape? You should! Carelessness and rushed work can cause all of these things. A professional power washer will know exactly the right combination of pressure, volume and chemicals to use for each situation. We know your home and belongings are valuable to you, and we work to protect them. We are nationally certified in “Soft Washing”, a power washing technique that can preserve your property while giving you the results that you seek. 2. Do they provide free pressure cleaning estimates? Some Arlington power washing companies may charge for an estimate, simply to protect their own time and interests. Our priority is serving you, and we want to make sure that you are comfortable with us and with our rates. Never pay for an estimate. Get in touch for your free estimate for power washing in today. 3. Will they notice and care for the details? It’s easy to rush through a job. Many power washing companies focus their effort on completing a job quickly rather than providing a quality cleaning. This is especially true for larger power washing companies in Arlington Virginia, who treat their customers as numbers rather than people. 4. Are they involved in any local Arlington VAand national business communities? This point may seem like a small thing, but a lack of involvement in any of the power washing associations or business communities often indicates that the power washing company is not professional and does not take their work as seriously as they could. Watch out for people, disguised as “companies”, that do their power washing work “on the side.” They often lack the skill and experience necessary to give you the quality work that you need. We are active members of the UAMCC, Community Association Institute and are Contributors to the Pressure Washing Resource Association. 5. Are they fully insured? You will want to hire a power washing company that is fully insured to cover damage that may happen to your property. It costs the business extra to obtain, but it ultimately protects you, the customer, and is for your benefit. Protect yourself and choose a power washing company that is insured. It is our goal to meet and exceed the standards described above. 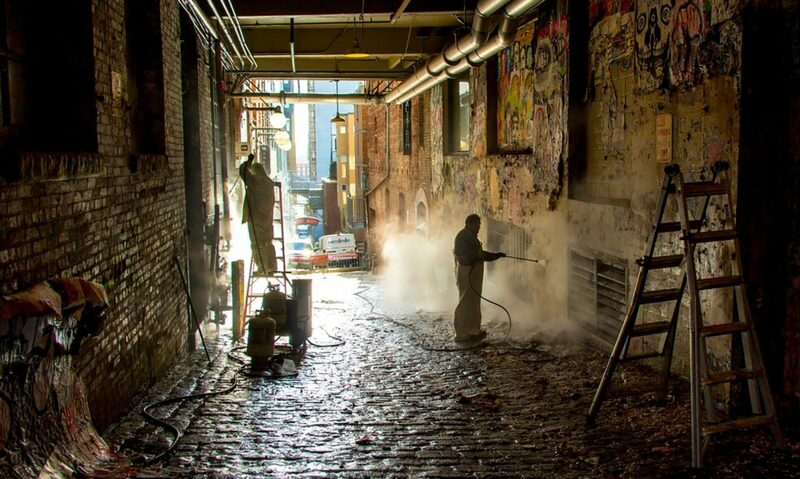 If you want a quality cleaning job done right from a professional power washing company, contact us today. I have always been a “DIY” person. I don’t enjoy paying someone to do something I could learn to do myself. My wife and I purchased a home with a deck the full length of the house. Everyone who see it call it “a party deck.” It is quite the deck, but it is also a maintenance nightmare! Every two years we were faced with the daunting task of staining the entire 40 foot deck, 2 stairways and all railings and rungs. Staining took 3 people 3 days. Finally I decided this just couldn’t continue. I needed to find a stain that would not wear so easily. After hours of research I decided on a true oil stain that was highly rated and would have a long life. I ordered it right away! But next step hit me hard in the face. I had to remove the current water based stain to ensure the oil would stick properly. As any DIY junkie knows, prep work is key to making your projects as successful as a professional’s. So faced with this huge project, I started looking at power washers. I didn’t really need to buy one. After all, this was the only time I’d need it. After a few phone calls I realized to rent a power washer was more expensive then buying one. Why can’t anything be easy?! So, renting out of the question I started researching to buy. It needed a good one that could make the job speedy. Power washers are expensive! Another research project. Just what I needed. I started to feel like my deck was taking all my spare time, and I hadn’t even started the actual project yet! After hours of research, I settled on a power washer that was powerful enough to get the job done…so I thought. As soon as the power washer arrived I was eager to start this ridiculous project. I kept trying to remind myself this was all in the name of “saving money”, “learning new talents”, “living up to the DIY lifestyle”. Once I put the power washer together, I put it to work. It wasn’t even a few hours before I could see this was not going as planned. The stain wasn’t coming off. I knew it wasn’t the power washer’s fault. It was powerful! This old stain wasn’t so bad after all. It wasn’t giving up without a fight! Back to the research drawing board! More time! But it wasn’t all wasted. I needed a stain stripper. So off to the store I went. I bought all they had. It was so expensive. $40 a gallon! I had never gotten a quote on having a professional take care of the deck, but the money I was spending was adding up! I couldn’t even think about if there was a cheaper way?! I was in too deep. So, for every weekend for about 4 months, I applied the stripper, waited 30 minutes, and then power washed the old stain off. It was messy, wet, cold and tiring. With the stain finally completely removed, I had to apply the new oil stain as soon as possible. An unprotected deck is a deck in danger. Weathering happens fast on an old deck. Staining took the rest of my weekends thru fall. It’s funny, at the beginning of this project I said to my wife, “Wouldn’t it be terrible if we don’t get to use the deck ’til winter?” And that’s exactly what happened. The deck is finally finished but now its cold and rainy outside. We look forward to using it this spring and summer. But I can’t help but wonder if I’d gotten a professional opinion before I fluffed my DIY feathers, would I have ended up doing it myself. I’m not one to surrender easily and spend frivolously…but spending time with my family on weekends instead of battling a 40 foot deck is worth more to me I’ve decided. Next time, I’m getting a professional’s opinion. Of course, I’m not just going to take the first bid that comes along. I work hard all week and want to make my earnings go as far as possible. Maintenance is less expensive then buying new, and my time is more valuable then proving I can do it myself. It’s not always cheaper, you know. Time is money too. That all being said, I would like to thank your company for the excellent job that you’ve done power washing my home. The siding is back to looking fresh and new. I hope to never need to redo my deck again, but we both know maintenance prevents replacement. If my experience has taught me anything, a competitive bid and willing laborers can save me time and money and keep my family’s home in good shape for us to enjoy it. Thank you Ecotek Power Washing of Northern Va for a job well done! !